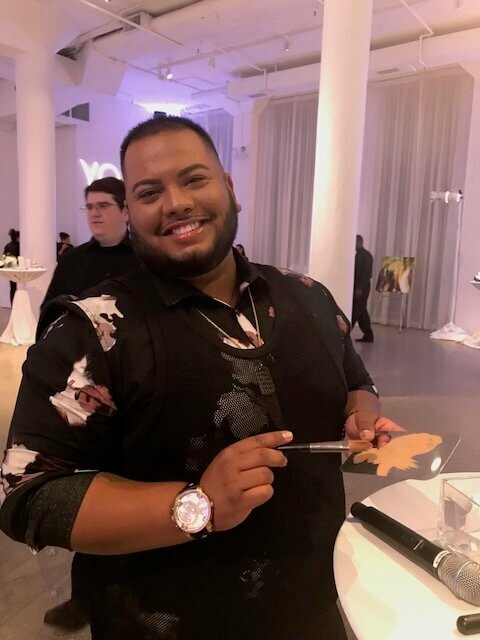 Our professional makeup artist Christian shares why he loves our Youth Activating BB Cream and shares his pro tips for the holiday season. Q: What do you love about YOUTH® skincare products, especially the Youth Activating BB Cream? A: I am amazed to see the results with YOUTH skincare. It is great that consumers finally have a product where they get amazing results without compromising on safety and purity. And these products do not rely on questionable chemicals to provide efficacy. The regimen is easy to use, has step-by-step instructions, and works well on most skin types. I am particularly excited about the Youth Activating BB Cream, which is one of the most versatile products I have come across. It is made with nature-based ingredients; it is hydrating; easy to use and provides buildable coverage. It has just the right amount of pigmentation to give you a natural and flawless look. The four colors are not overly dramatic. And they are gorgeous colors, easy to blend together to create a perfect shade for different skin tones. Q: As a professional makeup artist, you are used to working with a lot of different brands and products, what makes Youth Activating BB Cream stand out for you? Q: Can you share with us some tips for the upcoming cold weather and holiday season? A: The skin seems drier in winter. So be sure to stay hydrated. Have a glass of water before your morning coffee. Use a good moisturizer and a broad spectrum UVA/UVB sunscreen (like YOUTH Age Defense Mineral Moisturizer SPF 30). Use a sponge for applying make-up instead of your finger tips, since fingers can further dry out the skin. Make sure to remove all makeup and apply a enriching night cream (like YOUTH Advanced Renewal Night Cream) before you sleep at night. Try out a new look for the holiday season. The Youth Activating BB Cream four pack is a great start. Play around with the colors and try highlighting and contouring to ensure that you have your best face forward for the holiday season! For more tips and tricks, you can check out our Youth Activating BB Cream tutorial series. Christian is a professional makeup artist in the San Francisco Bay area with over 10 years experience providing services for professional photo shoots, special occasions, and more. Christian has spent months touring the country giving Youth Activating BB Cream makeovers and sharing his tips and expertise.